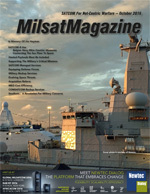 By Bryan Reid, Director, Business Development, Space Systems, Marotta Controls, Inc.
Today’s space race is becoming defined by the quest for more affordable launch capabilities for the military, government and commercial environs—reusability is a potent means to reduce costs as well as to secure market leadership. This unique, five-meter long arrow-shaped satellite has none of the moving parts often seen in other spacecraft. The satellite, together with the instrumentation, actually forms a single, composite, gravity-measuring device. 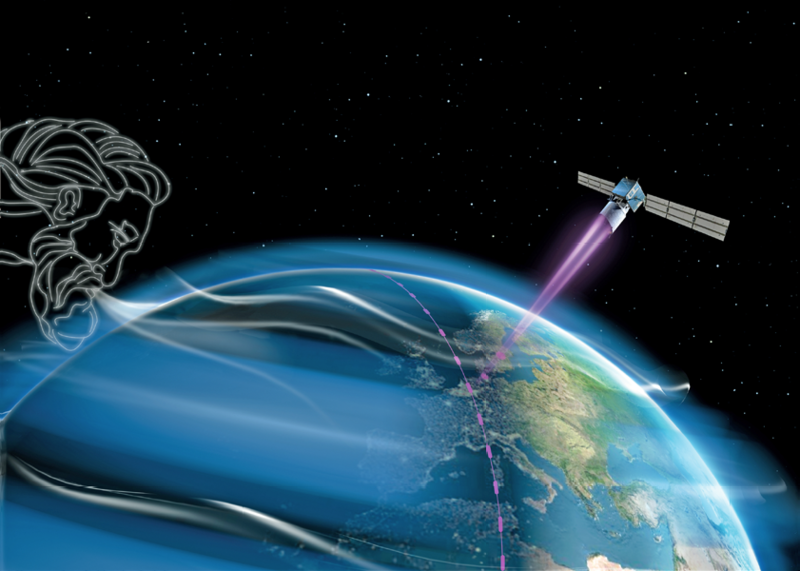 Artistic rendition of GOCE is courtesy of ESA. Reusability places an even greater value on reliability—heritage firms that specialized in aerospace technologies and systems since the days of Apollo are now playing a pivotal role in enabling the new space economy. Heritage technology originally carried Americans into space. Quite an achievement, of course, but even more remarkable when one considers that certain design tools and optimization technologies were not yet available for use. Saturn V, Apollo’s launch vehicle, would no doubt be lighter and more powerful if the rocket had been produced using the same extraordinary advancements in engineering tooling that benefit today’s space system developers. Saturn V’s actual size and performance capabilities were defined by the computational power of its era—resulting in extremely robust design as the mechanism to protect human life and hardware investments. Today, the high reliability associated with these man-rated designs aligns perfectly with current goals for long lifecycle reusability. Developed for robust performance in the earliest days of the space program, these proven components are inadvertently ready for today’s new space innovators. They are inherently more reliable and reusable because they are not necessarily operating at the limits of their capacity. By calling on a rich history of human space flight—breakthrough advances that defined the success of Apollo, Saturn and even milestones such as breaking the sound barrier—new space innovators have access to flight-qualified technology that can shape their competitive goals. Heritage engineers (and their specific knowledge of the kinds of proven systems and technologies available) are coming onboard new space programs and creating a path to affordability by exploring what kinds of systems can be built using existing hardware. Whether or not reusable technology is determined to be suitable for human space flight, man-rated systems have an impact on the affordability equation. The same reliability enables flexibility for new space competitors, allowing them some creativity in how to approach their individual reusability strategies. This is an unexpected upside. Systems are poised for multi-use, combining the high reliability associated with man-rated technology with the conservatism of design and robustness inherent to the early days of space system development. 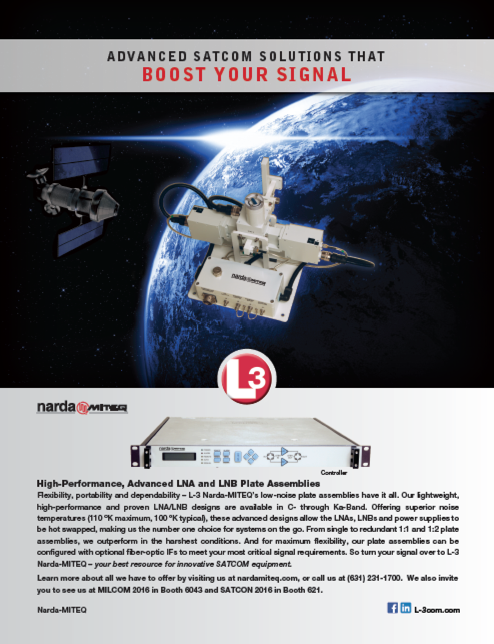 Onboard systems and components can be used with performance operating up to critical limits, or below critical limits as a means of extending lifetime and therefore reusability. It is, however, necessary to bridge expertise, resources and even cultures for relative newcomers to capitalize on what has already been developed and proven without spending billions on engineering new technologies from the ground up. Dynamics between the two realms—the upstarts of new space and the ‘elders’ of heritage technology—can add a new competitive edge, although institutional developers must think beyond the scope of a commodities broker. 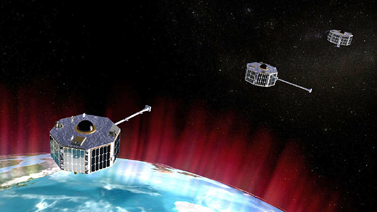 Artistic rendition of the Aeolus Wind Mission. Image is courtesy of ESA. Responsiveness is required, driving more institutional firms to decide whether they can and want to thrive in new space projects. This includes all facets of operations, from design and manufacturing to sourcing and pricing components. One company, Marotta Controls of Montville, New Jersey, is ideally positioned to service both new space and institutional programs; the firm is privately owned, with a deep catalog of flight-qualified hardware, and an agile decision-making process that reflects a lean and flexible management structure. Industry-wide, these capabilities largely depend on the culture and personality of the company, as well as the firm’s willingness to be proactive and adapt to new budget constraints. SpaceX and Blue Origin have already successfully landed and recovered first stage engines; SpaceX is close to executing their first launch of a reused first stage, while Blue Origin’s New Shepard sub-orbital vehicle has relaunched five times with only minor refurbishment between launches. First stage reuse likely offers the most return on investment, with second stage reuse considered worthwhile. While all reusable technology should create a program advantage through hardware savings, viewpoints differ on just how much of a cost reduction is possible in the future. A launch from Kennedy Space Center. Photo is courtesy of NASA. Progress toward price reduction continues in general, and reusable technology will amplify and accelerate the pace. For example, SpaceX’s Falcon 9 launch cost is currently ~$60M, while Ariane 5 is ~$120M with two satellites onboard; Ariane 6 promises to reduce per-kilogram prices by 40-50 percent to be more competitive with Falcon 9. With a reusable option, Falcon 9’s costs will also drop; published estimates suggest a 30 percent reduction in its launch costs. Because satellite launches comprise significant market share, including military, commercial and scientific missions, the market is responding strongly to the prospect of more affordable launch vehicles. Leaders in the constellation segment—ranging from hundreds to thousands of small, cost-effective satellites—are poised to benefit significantly from cost reductions enabled by reusable technology. Smaller constellation providers will no longer have to wait for a ride as a ‘piggyback’ on a larger rocket, putting a crimp in business plans and revenue strategies. The benefits include not only reduced launch costs, but also a faster route to services and profitability. More affordable space launches are critical to revitalizing the space industry, increasing availability of military and commercial constellation deployments, long-term scientific missions, national defense as well as the future of space tourism. Just as important is the need to capitalize on the role of heritage technology in new space programs. Flight-qualified designs that got us to the moon and back offer intrinsic reliability, the key factor in launching hardware into space more affordably. 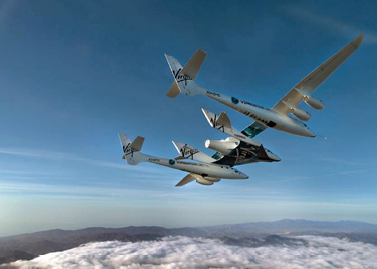 Photo of Virgin Galactic's ‘captive carry’ flight test, during which VSS Unity remained mated to the firm's WhiteKnightTwo mothership (VMS Eve) for the entire flight, from takeoff to landing. Photo is courtesy of Virgin Galactic. Today, the space industry’s predecessors’ robustly designed components enable the confidence required to commit to reusability. They also validate the need to mesh heritage and new space cultures as a new model for space design and development. Bryan Reid has more than 30 years of experience in the international Aerospace and Defence industry in technical and commercial roles and is instrumental in developing Marotta’s space strategy and securing significant technology content on major platforms. He’s been involved in a wide range of launch vehicle and satellite programs, including the Ariane 5 first stage Vulcain Engine, the GOCE (Gravity field and steady-state Ocean Circulation Explorer) satellite, and most recently, the Spacebus Neo and MetOp-SG platforms. Contact Bryan at breid@marotta.com. 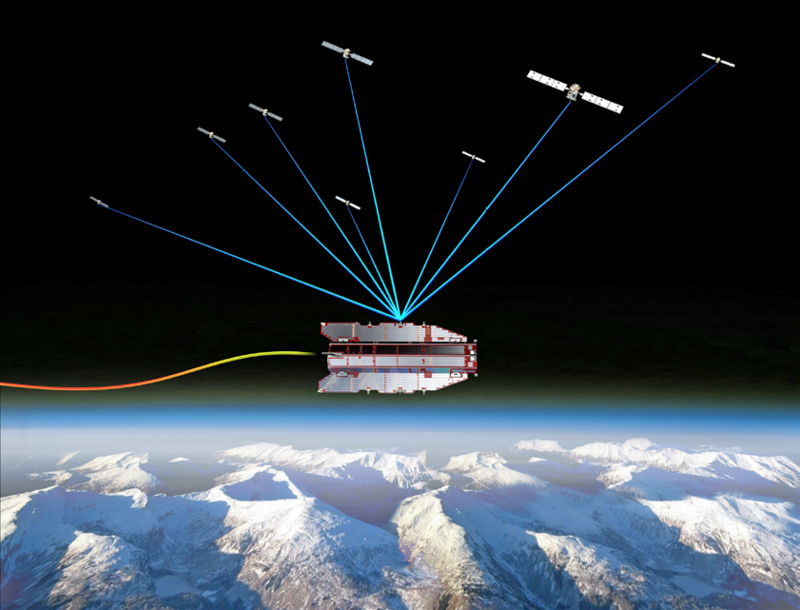 An artistic rendition of NASA's ST5 smallsats, launched to test and validate new technologies for future science missions. Image is courtesy of NASA. Aligning heritage technology with the agility required for new space innovation is an ideal, yet surprisingly unique, strategy for established technology developers. Marotta Controls is one of only a handful of firms that bridge the gap between heritage technology and the new space economy, building on proven, applicable technologies and an agile and responsive culture to enable a new generation of innovators. While the company’s expertise has steadily been built on institutional programs dating back to Apollo, Saturn V and the Lunar Module, Marotta’s technology is also part of space programs like Atlas, Delta, Taurus, New Shepard, Falcon 9 and SpaceShip Two. Marotta’s patented valves were used on the Gemini spacecraft and Titan launch vehicle programs to control the fuel and pressurization systems during critical fueling and launch countdown sequences. The company’s solenoid valves were used in Saturn V’s environmental control system, cooling electrical equipment required to guide, navigate, and command and control the Saturn launch vehicle from liftoff to Apollo/Saturn vehicle separation. 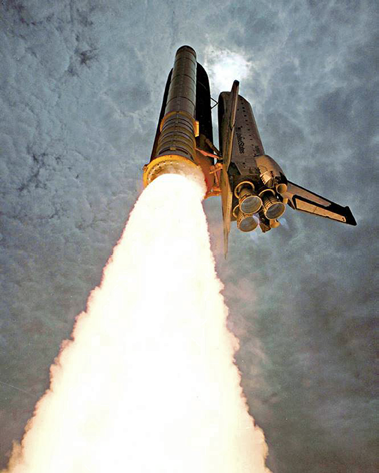 Marotta was also on board the Space Shuttle, providing technology as part of the program’s Solid Rocket Booster (SRB) system, helping the Orbiter escape Earth’s gravity using a system designed for recovery and reuse in future missions. Marotta’s résumé ensures intelligent fluid control systems and technologies that are inherently reusable, developed from early design protocols requiring robustness suitable for manned space flight. These factors are vastly improved today, based on advanced simulations and computer models that didn’t exist in the early space era. The result is greater room to incorporate performance and safety margins suited for the rigors of repeat missions, delivered as customized, optimized solutions built for specific performance and reusability requirements.